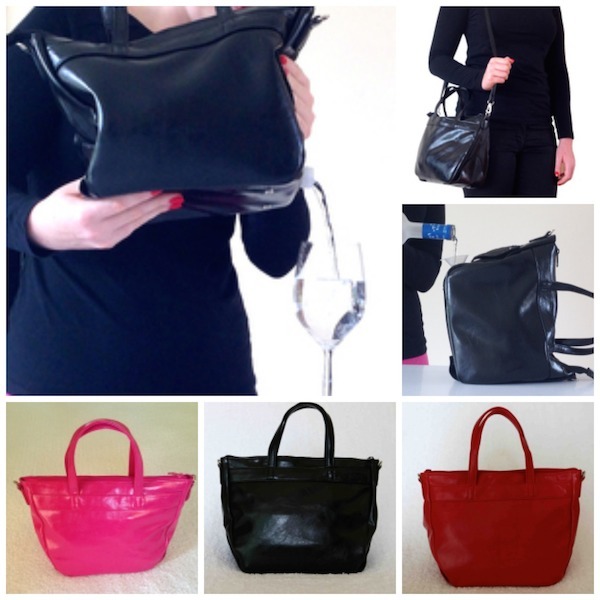 Classy: Bev-Bag Is A Booze-Carrying Purse | OhGizmo! Consumer Reports: #Bendgate? What #Bendgate? By Andra Vasile on 09/29/14 • Leave a comment! The only thing that’s classier than pouring wine out of a cardboard box is pouring it out of a purse. And that’s exactly what you’ll get to do if you buy the Bev-Bag Secret Handbag Flask. It’s a normal-looking purse that just happens to house a 28 oz. flask with a hidden spigot on the outside. If you’re at a park, say, and the fancy strikes you, you can easily access your libations just by opening the spigot, tilting the bag and pouring. And when you’re not drinking, the bag itself does have space to carry all the normal… things girls carry in their bags. It comes in four colours and costs all of $36.